At IFA 2015 in Berlin, Huawei announced its latest smartphone: the Huawei Mate S. The announcement was a somewhat interesting affair, with an on-stage singing performance and a catwalk at the end, but even with all that, the Mate S was still the star of the show. It looks gorgeous, and offers some pretty interesting features. We’ve been using the Huawei Mate S for over a month now, and here are our thoughts. The Huawei Mate S is currently available to pre-order via VMALL, the official Huawei and Honor stockist in the UK, with a current delivery time of around four to five weeks – although with this being said, its displayed the same four to five week estimate since pre-orders opened in mid-September. At present you can only pre-order the 32GB model, available in titanium grey and mystic champagne, as the 64GB capacities (prestige gold and coral pink) are not yet available. Huawei has concentrated heavily on the design of the Mate S. During the announcement, the company kept referring to its design mission – to keep the Mate S’s design pure and simple. This is reflected in the Mate S, with its gorgeous metal unibody (dual diamond cut for precision) providing a simple yet understated look. The Mate S has been designed to have a slight curve at the back, which makes using the handset over long periods of time a more comfortable process. Dimensions wise, the Huawei Mate S measures an amazing 2.65mm at its thinnest point, widening to 7.2mm at the thickest point of the device. It measures in at 149.9×75.3mm, which is surprisingly smaller than the dimensions of the iPhone 6s Plus (158.2×77.9×7.3mm). Why is this surprising? Because the S Mate boasts the same size display as the iPhone 6 Plus (5.5in), but is smaller, and in our opinion, a lot more comfortable to hold and use. Huawei wanted to minimise the presence of antenna lines with the Mate S, an issue that all unibody phone manufacturers (including Apple) have to deal with. The antenna lines are the plastic strips that run across the back of many phones including the iPhone 6, HTC One M9 and Huawei’s own P8. While it’s not currently possible to completely remove these antenna strips as these allow signals to be sent and received by the phone, Huawei has tried its best to minimise their presence. How? Huawei has designed the Mate S in such a way that it doesn’t require as many antenna strips as other leading smartphones, and the company has managed to make them thinner too, 1.5mm compared to the iPhone 6’s 2mm strips. The smaller dimensions of the Mate S provide a comfortable fit in the hand, arguably more comfortable than Apple’s iPhone 6s Plus, which is our go-to smartphone. It only weighs 156g too, compared to the iPhone 6s Plus’ 192g, which may not sound like much of a difference but when you hold them both in your hands, you can quickly see how much of an impact 36g can have on a smartphone. The curved back allows for extra grip when using the Mate S one handed, while also allowing you to be able to comfortably reach the screen using one hand. The Huawei Mate S sports a full 1080p HD 5.5in display that looks crisp, clear and bright thanks to the 105 percent colour saturation and a high contrast ratio, and has a pixel density of around 401ppi. For those of you that are constantly breaking your phone screens, you’ll be happy to know that Corning’s 2.5D Gorilla Glass 4 protects the Mate S display, which Corning claims its 2x tougher than competing glass technologies when dropped. The 2.5D glass allows the edges of the display to be curved instead of straight, which allows for a smoother overall finish and feels great when swiping near the edge of the display. However, it’s not just the addition of Gorilla Glass 4 and a FHD display that make the Huawei Mate S fascinating – the 64GB variations features force touch technology, much like what’s used on the Apple Watch and the iPhone 6S. It’s worth mentioning at this point that force touch won’t be available on the standard version available for pre-order at the moment, and will be announced later on this year. The force touch capabilities seem fairly limited at this time, with Huawei looking for suggestions on how best to implement the technology in future. At present, you can force touch on a photo to get multi-level photo magnification and, amazingly, the technology can also be used to weigh objects by placing them on the screen. The example given to us at the event was weighing an orange, though we weren’t able to use it personally so we’ll be updating this review once we get a force touch-enabled Mate S in to PC Advisor towers. So, what else makes the Huawei Mate S interesting? Huawei has decided to place a fingerprint sensor on the back of the device, which the company claims is a lot more convenient than having it on the front of the smartphone. Tapping the sensor will trigger the shutter when taking a selfie, swiping down on the sensor will allow access to the notification center and swiping from left to right (and vice versa) in the Gallery app will swipe between your various photos and videos. While we weren’t too sure about this at first, after using the Mate S for a month, we changed our minds. The company has upgraded the fingerprint sensor from what was featured in previous handsets, boasting 100 percent increased recognition speed and 100 percent increased sensitivity, with issues like wet fingers now becoming non-issues. We can confirm that it is extremely fast and accurate, with the Mate S unlocking almost instantly after we placed our finger on the sensor. Much to our surprise, we didn’t experience the fingerprint reading errors that we’ve got used to when using other smartphones – in fact, we found we’d accidentally unlock the device when putting it in our pockets (a true first world problem). The Huawei Mate S also boasts dual-SIM technology, with support for 13 mainstream 4G LTE frequencies that cover Europe, USA and Asia. If you don’t want to use two SIMs at once, the second SIM card slot doubles up as a MicroSD card slot, allowing users to bump up the storage capacity of the device. Internally, the Huawei Mate S boasts a Hisilicon Kirin 935 octa-core processor, which is comprised of a quad-core 2.2GHz processor and a quad-core 1.5GHz processor, coupled with 3GB of RAM. Alongside the Kirin 935 sits the Mali T628 MP4 GPU, which won’t hold its own against the Adreno 330 GPU but will handle standard mobile games and applications just fine. We ran benchmark tests to see just how well the hardware performs compared to its competitors. In Geekbench 3, the Huawei Mate S scored 778 in single core mode, and 3265 in multi-core mode, which puts it in line processor-wise with the Galaxy Note 4 and Honor 6 Plus. The next test we ran was in GFXBench, to test the graphical power of the phone. The results were quite surprising, but for all the wrong reasons – it scored 5.8fps in Manhattan, and 11fps in T-Rex, putting it in line with mid-range smartphones like the Ulefone BeTouch and the Honor 6 Plus. SunSpider wasn’t much more impressive either, scoring 1448ms – which may sound impressive until you realise that with regards to SunSpider results, the lower the score is, the better. It also has a 2700mAh Lithium Polymer step platform battery that Huawei claims can last over one day on a single charge, but out battery test suggested otherwise. We used the Geekbench 3 battery test that keeps the display on until the phone dies, so the results are regarding usage time, not standby time. The results showed that the Mate S can last 6 hours, 13 minutes and 10 seconds on a single charge, with a score of 3706 that puts it in line with the OnePlus 2. The company claim that fast charging capabilities of the Mate S is 2x faster than the iPhone 6 Plus, and that 10 minutes of fast charging will equate to around two hours of talk time. Hidden away inside the Huawei Mate S are three microphones, which are used alongside Huawei’s smart directional algorithm for directional audio recording, with the aim of cutting out any unwanted background noise. You can set it to automatically detect whom to focus on, or you can move the in-app ring to record in a specific direction. It also has a one to one mode that eliminates side noise and produces ‘direct listening’ for situations like interviews. Though this sounded like a fascinating concept, the overall quality of the audio was disappointing and it isn’t a feature we’ll be using very often. So, what does the Huawei Mate S offer in the camera department? On the rear of the smartphone, you’ll find a 13Mp camera with a four-colour RGBW sensor, which is more than its competitors according to Huawei, and helps to capture a more vibrant picture and colourful image. As well as a four-colour sensor, the Mate S has 1.2-degree optical image stabilization, which should combat (to a certain degree) the shakiness in the videos and images taken on the smartphone. It also features a colour temperature LED flash, which aims to combat the tinge left by the flash that some smartphone users suffer from. The company claims that the rear-facing camera also boasts a Digital SLR level sensor, which can be fully optimized by using the ‘Pro’ camera mode available from within the stock camera app. And for those of you that are conscious of resting their phone flat in case the lens scratches, you’ll be happy to know that the rear-facing camera of the Mate S is protected my sapphire glass, which is twice as durable as standard glass and almost as hard as diamond, much like what’s used in the Apple Watch. With regards to the front-facing camera, the Huawei Mate S features a pretty impressive 8Mp camera – but that isn’t all. It seems that Huawei has listened to the cries of selfie-lovers and has opted to include a soft lighting flash, which provides a decent level of light without over exposure when taking photos in dark environments. It also uses the latest beauty algorithms (which you have to tweak when you first use it) to improve your selfies in real time with smoother skin, brighter eyes and a thinner face. With regards to video, both the front and back cameras support 1080p recording, although we can’t confirm the frame rate at this moment in time. We’ve reached out to Huawei for confirmation, and will update the article as soon as we hear back. The Huawei Mate S comes packing a Huawei-customised version of Android 5.1.1 Lollipop, which includes some interesting features not available on standard Android devices. The first is the notification centre, which is accessed by swiping down from the top of the screen – as well as being able to access various toggles, you can swipe right to access a timeline view of all your notifications over the last 24 hours. It’s a nice touch, and a feature we’d love to see implemented into other Android devices. It also comes with a Power usage firewall that’ll highlight any power-intensive apps that are draining your battery. From the menu, you’re able to quickly disable the background processes completely, or tweak exactly what the app can do in the background. 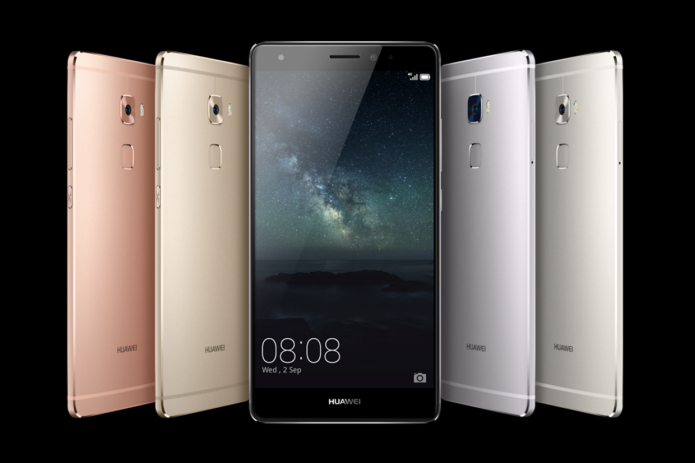 The Huawei Mate S also offers an interesting way to interact with your phone – by knocking on it. The smartphone includes knuckle touch control 2.0, which can be set up to wake up your phone whenever you tap on it with your knuckle, and you can also use your knuckle to crop photos (any shape, not just square like with knuckle touch control 1.0) and take screenshots anywhere in the OS. Interestingly, you can also use knuckle touch to crop videos – simply double tap to start the recording, and double tap to stop it. It’ll create a new video file with your shorter video instead of directly overwriting the original. You can also use your knuckle to draw gestures on-screen that act as shortcuts to various apps. For example, you can draw a C to open the camera or a B to open the internet browser, although these can be customised to open any app that you want. Based on our month with the Huawei Mate S, it’s a very promising phone. Its design is beautiful, it’s lightweight and it fits perfectly in our hands despite the 5.5in display. The custom Android UI takes some getting used to, but it offers something different to the standard Android experience with the inclusion of a timeline-based notification centre and knuckle touch control. The cameras are impressive, but they aren’t quite as high-end as Huawei has made them out to be. The only real let down is the graphical power, as benchmark results put the Mate S in line with smartphones around £200/$300 cheaper, although we experienced no real lag in our use.